To some, it's five Blythes girlies, wow! To others, ONLY five? There will be more! Cassie was the one who started it all. She arrived in May 2010 and I fell in love with her beauty. The girl has PERFECT hair. At first I don't think I knew what to make of her, but she goes everywhere with me. Cassie is pretty quiet and reserved, so sometimes when I can't hear her voice, it's because she is being silent. Hana was meant to be my experiment. 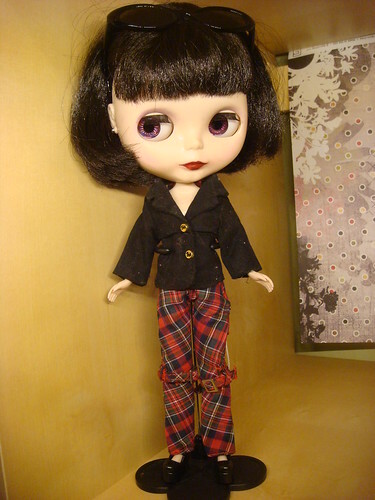 That sounds awful, but not knowing anything about customizing a Blythe, I wanted to try it all, and I picked up Hana cheap enough to try it. I cut her awful stock hair immediately after cleaning her, and took a few pictures of her 'as is.' Then took her a part, sanded her face, drilled out her eye chips, and ripped out her hair. Sounds brutal, doesn't it?! It was worth it, because I think she looks a million times better. 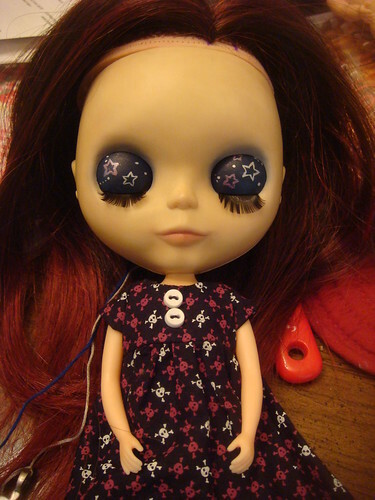 Somewhere along the way I decided to paint her lids, then after falling in love with the lid work of aforementioned customizers, decided to detail them with little stars. Her reroot is almost finished! 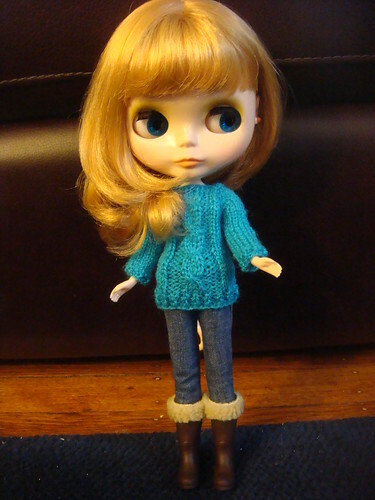 Yula was replacement doll therapy. There was a purple highlighted custom Ebony that I wanted in the worst way, and when I didn't win her, I was devastated. I had her name picked out and everything. Yula was meant to serve as this doll, with light custom work to achieve it (I felt more comfortable after working on Hana) I received Yula on my birthday; October 22. Three days later, I had my daughter! Poor Yula has had her chips swapped, and lips painted, but her highlight saran was the wrong shade. Now that I have decent pastels, I should redo her makeup and really go to town on her wardrobe to help her image: Punk Rockstar! Kylee was my Christmas girl. You know how when you're poor, you want so many things, so badly and you can't have them? And then you get some money and nothing appeals to you? 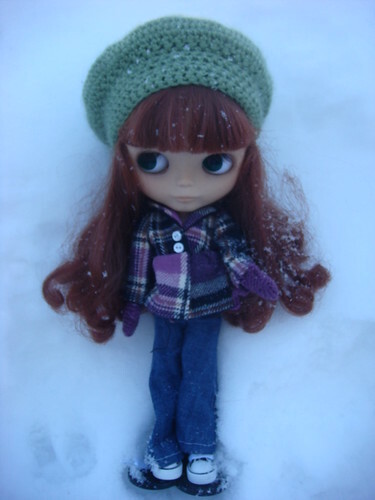 Kylee was the only dollie that appealed to me around Christmas. I wanted a PDLondon, but she was too expensive to be a gift from one person. I found Kylee at a really reduced rate because her scalp was not attached. Her hair was not in the best condition, either, but her face spoke to me. Kylee came home on Christmas and got a hair treatment and her scalp glued down. We have played bang-therapy ever since. I will probably do a reroot on a spare scalp and swap her when it is finished. Kylee is a little sweetie, and gets along with Cassie very well. 5. Fawn, a BEAUTIFUL Mondrian BL! Fawn is the only girl that isn't an RBL or an ADG. She was a whim and a fancy, and she became real. I could not be more thrilled with this girl. I posted her story a few days ago. Her name came to us rather quickly, and she has been fitting in well with the rest of the clan. She and Cassie are the favorites by far. Personality, Fawn is a sweetie who loves to have fun. We're still getting to know her. And those are all of my girls!